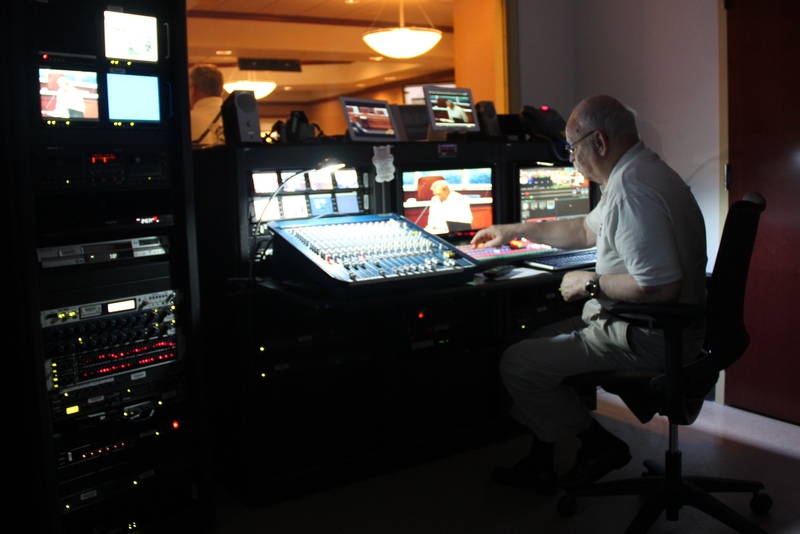 The Ernie Stadvec Show originally aired starting in 2007 on the eleven station Cleveland-Akron Television Network (CAT-TV) and has since moved to the internet. The Variety and News Magazine TV show covers military, Aviation and topics of local interest in Akron and Cleveland. 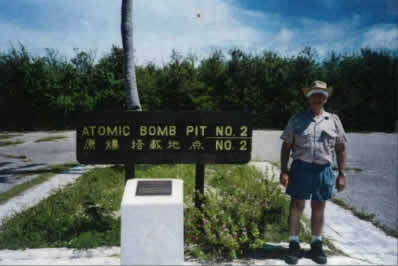 Some of the highlights of the show include an interview with FBI agent Don Adams regarding the JFK assassination, a visit to Saipan and Tinian islands to uncover clues about the disappearance of Amelia Earhart, and an interview with the First Officer and Air Traffic Controller for the Miracle on the Hudson, US Airways Flight 1549. Ernie Stadvec host of Ernie’s TV and Ray Pullium. videographer, director and producer of the show are both retired pilots who returned to television and the internet in a joint venture. Ernie consults at ESSCO Aircraft a family business while Ray volunteers at the Green High School Video Department where he has donated video equipment. 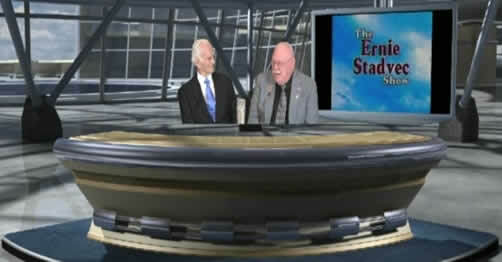 Raymond became a member of the Ernie Stadvec Show in 2007. He started with video work in 1969 as a broadcast cameraman using black and white camera with turret lenses. 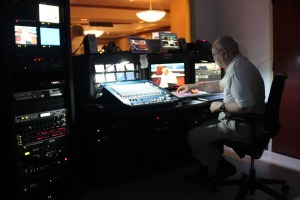 Included in his experience is building a couple of television sets. Recording videos became a hobby and progressing in the quality of cameras. Ray had camera with separate recorder and then went to several camcorders. Recording productions at schools was extension of his hobby. Several parents of students in these productions asked for copies of his work. This led to recording videos at the local Sweetheart Ball & Cotillion. Next came recording the City of Green Committee and other government meetings. Pictured is Raymond at the Green CAB.